www.catoga.com – once/week tour on Saturday from May through October – incredible villa – that no one really knows about – a hidden Napa Valley attraction. www.dirosaart.org – 2300+ works of art, all by Northern California artists, Carneros District – Admission is free on Wednesdays! www.napavalley.com – excellent information for visitors looking to enjoy all that Napa Valley has to offer, from wine tours to wedding venues to lodging options. www.preiserkey.com – pick up one of their excellent comprehensive Napa Winery lists (printed publication) in any of the local Chamber of Commerce’s, their printed guide is a recommended read. Great maps to. www.grape-nutz.com – a very nice comprehensive wine community, articles, wine tasting, reviews and much much more! www.princeofpinot.com – the PinotFile is a unique free weekly online newsletter dedicated to Pinot Noir featuring winery and winemaker profiles, Pinot Noir releases and reviews, and insider’s information for acquiring artisan Pinot Noirs. Warning: readers may develop a hopeless passion for Pinot Noir. The Creator, Editor, and Publisher is Rusty Gaffney MD, the "Prince of Pinot"
www.appellationsthelena.com – St. Helena Appellation – they have a wonderful annual consumer tasting, usually held in May. Wineries are setup alphabetically, there is a blind tasting – win grapevines or 1 winner takes home several cases of wine! www.coombsvillenapa.org – Our mission is to promote the Coombsville Appellation and its vintners and growers as a premier wine growing region and destination, while maintaining the quiet nature that is Coombsville. www.bearflaginn.com – Calistoga’s historic Bear Flag Inn bed and breakfast offers comfortable lodging on 3-1/2 lovely acres in the Napa Valley. Featuring charming guestrooms, a full breakfast made with farm-fresh eggs produced here, and wine & appetizers in the afternoon, Bear Flag Inn is your home away from home in Calistoga. www.brannancottageinn.com – This charming Victorian Wine Country Cottage bed and breakfast, listed on the National Register of Historic Places, was built in 1860 by Samuel Brannan, Calistoga’s founder and one of California’s early entrepreneurs. The summer Friday night winemaker pourings and events are definitely a highlight here! www.carlincottages.com – Lose yourself in one of the private cottages that surround the quiet country garden and courtyard, read the morning paper or relax in the hot, spring-fed swimming pool and spa. Friendly Irish hospitality awaits you at Carlin Country Cottages. www.casalana.com – The tranquil river setting and lush gardens at CasaLana creates a natural, relaxing atmosphere for your Napa Valley experience. As you leisurely enjoy breakfast on the patio overlooking the river, you will bask in the peaceful quiet. Each spacious guest room in this Calistoga Bed and Breakfast is air-conditioned and has a private entrance, private bath, TV, VCR, in-room coffee and refrigerator. www.cdvnapavalley.com – Chateau de Vie – Walk out onto the deck to take in the astounding view of Mt. St. Helena and acres of Napa Valley’s finest. A full Breakfast Menu of all your favorites. Special event… last minute getaway… quiet retreat. www.chelseagardeninn.com – Set among lush garden paths, Chelsea Garden Inn is a wonderfully unique Napa Valley inn featuring one-bedroom suites with private entrances, private baths, and fireplaces. With a secluded pool and jasmine-lined walkways, you’ll renew yourself in an environment created to revive and enliven the soul. 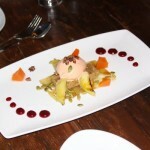 www.luxecalistoga.com – Reinventing the Bed & Breakfast experience, Luxe Calistoga is the new look and feel of Napa Valley wine country lodging. Yesterday meets Today: New in style – Old in charm and grace. The philosophy is a blend of old world luxury and 21st century amenities and technology. Antiques co-exist with modern design to create a harmonious blend of comfort and elegance. www.meadowlarkinn.com – This is an elegant, relaxed B&B with amenities of a luxury destination and the ambiance of a Napa Valley retreat. Young children are not recommended for safety and privacy reasons. Meadowlark offers a CLOTHING OPTIONAL NATURIST mineral pool, spacious sundeck areas , privacy, hot tub, sauna, In house massages and magnificent views of mountains and nature. www.mountainhomeranch.com – This is an elegant, relaxed B&B with amenities of a luxury destination and the ambiance of a Napa Valley retreat. Young children are not recommended for safety and privacy reasons. Meadowlark offers a CLOTHING OPTIONAL NATURIST mineral pool, spacious sundeck areas , privacy, hot tub, sauna, In house massages and magnificent views of mountains and nature. 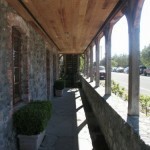 www.mountviewhotel.com – Welcome to the historic Mount View Hotel & Spa, located in the Napa Valley town of Calistoga. Built in 1917 in the Mission Revival style, the Mount View Hotel in Calistoga is a gracious grande dame of resorts, among the premier historic hotels of Napa Valley in Northern California. www.stevensonmanor.com – The Stevenson Manor Inn in amazingly beautiful Napa Valley wine country blends a fantastic mixture of location, guest–focused service, quality and convenience. Come enjoy all the comforts of home at our charming Calistoga boutique inn, ideally located in the heart of Northern California’s wine country! www.trailsideinn.com – Your complete suite has a private entrance, porch bedroom, kitchen and bath. They are comfortably decorated in country style with quilts and antiques. Fresh home baked bread and breakfasts fixings are provided for you to prepare at your leisure in the privacy of your fully equipped kitchen. www.arborguesthouse.com – The Arbor Guest House is an intimate and romantic bed and breakfast in Napa, the heart of Napa Valley, where you can experience wine country living to the fullest. Our Napa B&B features gourmet breakfasts, fireplaces, spa tubs, bedside chocolates and a lovely garden atmosphere where breakfast is served in the summer months. 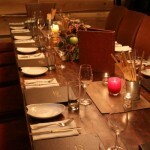 napa.andaz.hyatt.com – Andaz offers guests a full-fledged, premium Napa Valley hotel experience. But it’s their skill as an ambassador where the Andaz Napa hotel shines. 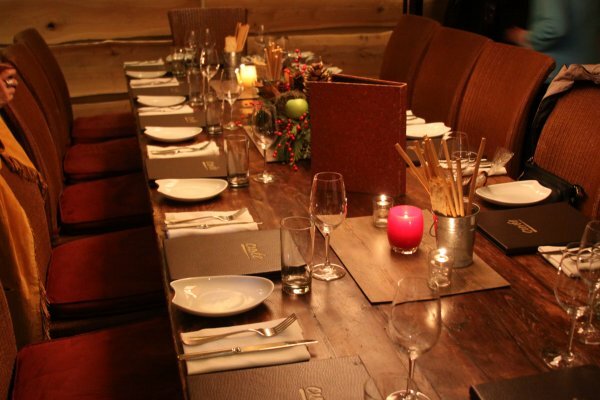 They offer guests insight and access into the heart and soul of wine country. 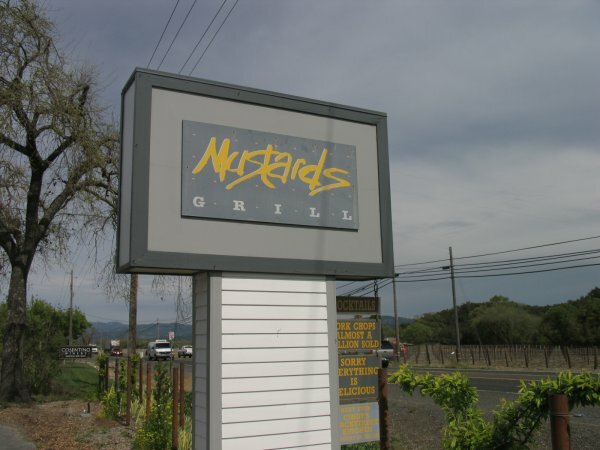 Located in downtown Napa you’re steps away from world-class wine tasting venues and Cali cuisine. Downtown you’ll find artisanal food, wine and shopping at the new Oxbow Public Market. 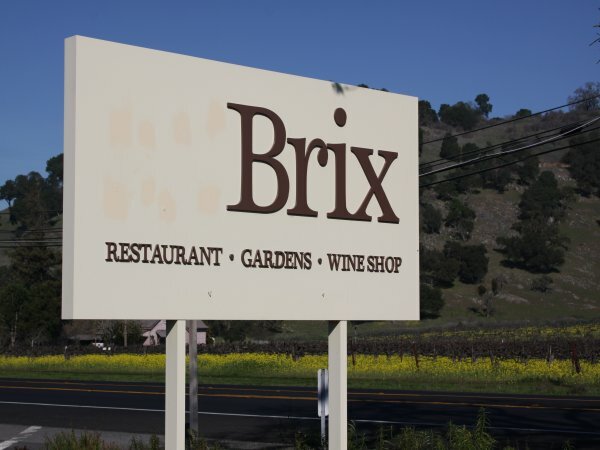 Let AVIA show you around Napa. 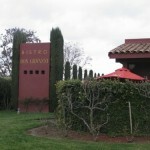 www.blackbirdinnnapa.com – offers the intimacy of a vintage hideaway, yet is an easy walk to many shops and restaurants. With its spacious front porch, huge stone fireplace and liberal use of fine woods, Blackbird Inn creates a warm, welcoming atmosphere and is just a short drive to world renowned Napa Valley wineries. 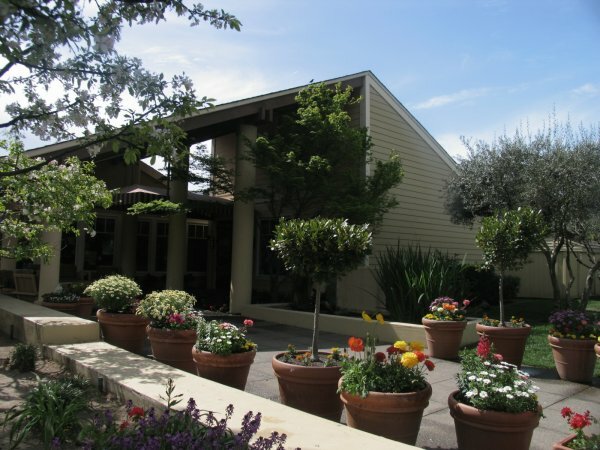 www.candlelightinn.com – A Napa California bed and breakfast in Napa Valley CA, the Candlelight Inn is a luxurious Wine Country bed and breakfast. 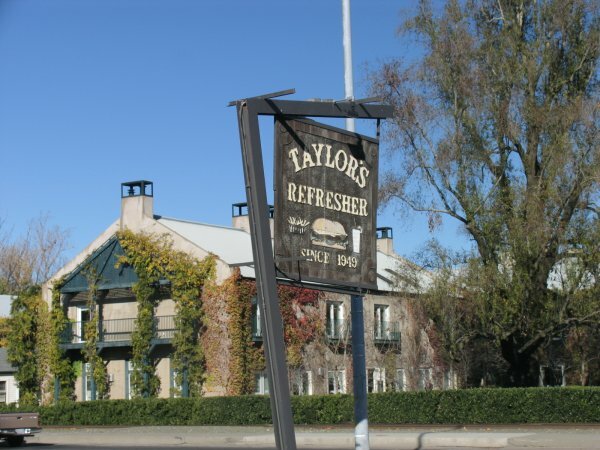 This lovely 1929 English Tudor bed and breakfast inn is centrally located to all the wonders of wine country, yet oh, so far away. Come enjoy the romance and splendor of this Napa Valley getaway. Secluded beneath towering redwood trees along the banks of the Napa Creek, the inn rests on an acre of quiet, park-like grounds. www.cedargablesinn.com – Welcome to Cedar Gables inn, a luxurious Napa Valley Bed and Breakfast, where enchantment, romance and history await you. Treat yourself to an unforgettable Napa Valley bed and breakfast experience as you indulge in delicious gourmet breakfasts, evening hors d’oeuvres and fine wines, and the ultimate in hospitality and social graces. www.chardonnaylodge.net – Chardonnay Lodge is pleased to offer guests luxurious Napa Valley lodging accommodations centered on a charming room décor and accompanied with numerous modern amenities, as well as an excellent location to area wineries and the numerous Napa Valley activities, making for an exciting year-round destination. 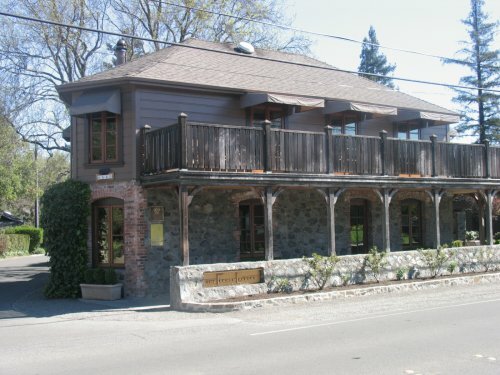 www.demarhouse.com – Our historic Victorian home is located within a few minutes walking distance of charming downtown Napa. There you will find great shopping, some of the finest dining and the revitalized Napa river waterfront! www.napavalleyinns.com – Hawthorn Inn & Suites Napa Valley provides exceptional, yet affordable, boutique style hotel accommodations in downtown Napa in the heart of the Napa Valley wine country, with in-room spa tubs, complimentary breakfast, and high-speed internet. www.hennesseyhouse.com – is a wonderful place to relax – reconnect with your love, with the beauty that surround you, with your inner peace. Stroll to restaurants, shops, theatres, the Wine Train, the Opera House and COPIA. This is Napa’s enchanting B&B. www.laresidence.com – Nestled in the heart of Napa Valley, La Residence is a tranquil luxury inn, set on two acres of lush gardens, beautiful vineyards, towering heritage oaks and redwoods, and peaceful fountains. La Residence offers the intimacy and personal service of a bed & breakfast with the privacy and amenities of a luxury hotel. Owned by Craig & Kathryn Hall, owners of Napa’s Hall Winery. www.napadiscoveryinn.com – The Napa Discovery Inn’s 100% non-smoking property features fifteen guestrooms each located on the ground level. Each guestroom at this Napa Valley Hotel is tastefully decorated with brand-new custom furniture, dual-tone painted walls, new bedding, and plush pillows. 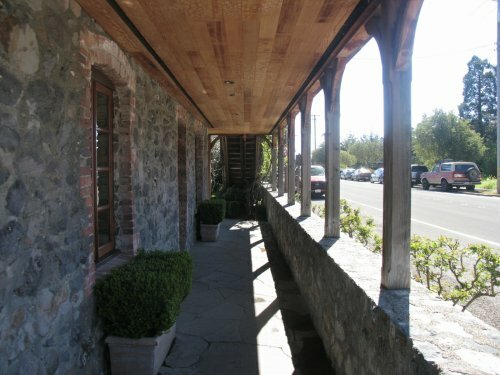 www.napariverinn.com – Napa River Inn is the ideal venue for a romantic, wine country getaway, business meetings or retreats. Our accommodations provide fun, comfort, and relaxation. Our restaurants and spa have been voted “Best Of” by Napa Valley residents. Also offers complimentary historic walking tours of the downtown area. www.napavalleymarriott.com – Experience the rustic charm and beauty of California’s world-famous wine country from the premier Napa Valley hotel – the Napa Valley Marriott Hotel & Spa. Exceptionally accommodating for business and meetings, and perfectly located for leisurely exploring, our Napa Valley California hotel is surrounded with opportunities to treat yourself in every sense. $ www.thecarnerosinn.com – is the first full-service resort to be built in Napa in 20 years, and the first ever in the world-renowned Carneros wine region. The resort features 86 charming, private guest cottages and suites and nightly private luxury Home rentals, each furnished with casual elegance and nestled in a lush garden courtyard with private deck. 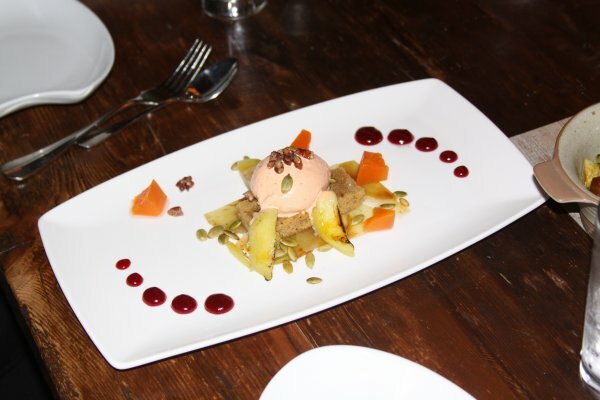 Innovative dining options at The Carneros Inn, under the direction of Chef Jeffery Jake, include the architecturally dramatic Hilltop Dining Room, FARM, and The Boon Fly Café, a roadhouse-style public eatery. The property also offers outdoor terrace dining and an infinity pool, both with panoramic vineyard views; bar and award-winning spa facilities; and, most importantly, first-class service delivered with warmth and ease. The Carneros Inn was named “one of the 25 most romantic getaways in the world” by Travel + Leisure magazine. www.theinnonfirst.com – Each guestroom features king-sized bed (unless otherwise noted), private bath with spacious shower, two-person whirlpool tub, iPod-ready alarm clocks, luxurious robes and fireplace. WiFi Internet service is available to all our guests throughout the Mansion and in the Garden Suites. www.westin.com/verasanapa – The Westin Verasa Napa Residences is a whole ownership condo-hotel — the newest trend in real estate. Ownership in the Westin Verasa Napa Residences is a rare opportunity to own resort real estate with all the amenities and services of an intimate hotel. 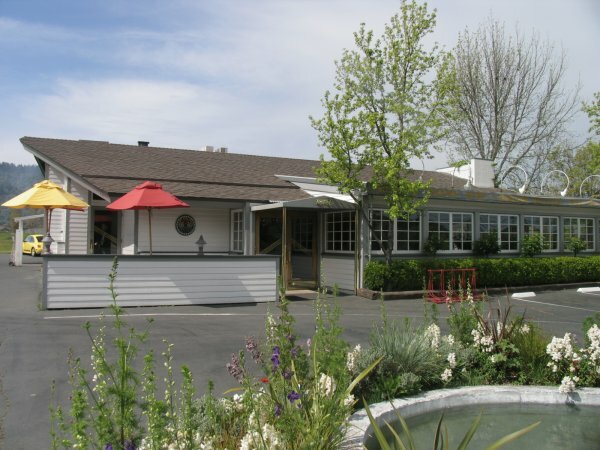 www.winevalleylodge.com – The Wine Valley Lodge is a vintage motel built in the California Mission-style located just off Highway 29 at Imola Avenue and Coombs Street. This rustic adobe style motel is arranged in a plaza setting around a pool creating a resort atmosphere at an affordable price. This lodge in the heart of the Napa Valley has an interesting story to tell. www.aubergedusoleil.com – “the inn of the sun” luxurious hillside lodging & spa. TERRACED DOWN THE HILLSIDE with views of the Napa Valley, all accommodations at Auberge du Soleil feature Mediterranean-inspired décor with original contemporary art. All guest rooms, suites and maisons feature Italian linens, down bedding and duvets, Auberge du Soleil’s custom-made bath amenities, plush robes and slippers and private outdoor terraces for relaxing or dining. $ www.aubergedusoleil.com – Since it opened, resort guests have been drawn to the Auberge for its tranquility, style and unmistakable romance. The pleasures of escape, total privacy, and the intimacy of having a beautiful spot to share are part of the timeless allure of Auberge du Soleil. www.elbonita.com – Located in the very heart of the Napa Valley, the El Bonita Motel has a rich history – from a religious retreat in the 40’s to an Art Deco Motel in the 50’s. Today the El Bonita is truly a blast from these travels past. You’ll enjoy the best of both worlds, the reminder of another era and today’s modern conveniences. 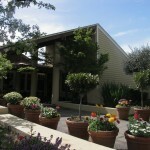 www.innatsouthbridge.com – The Inn at Southbridge provides the perfect destination for lodging in Napa Valley. Within walking distance of our quaint neighborhood, you will find a microcosm of the very best Napa Valley has to offer, including: wine tasting, fine dining, gourmet markets, galleries and boutiques, bicycling, hiking and romantic picnic settings. $ www.meadowood.com – one of the real treats in the Napa Valley. A secluded, exclusive high-end resort – guard house at entrance – golfing and luxurious accommodations. Wine, golf, tennis, croquet pro’s on site. 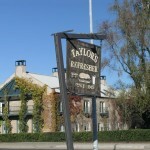 This is “the” prestigious place to stay at when in Napa. Great swimming pool too. Base of Vaca mountain location. 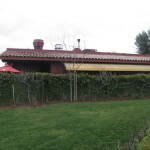 www.napavalleyspanishvilla.com – Experience Italy in Napa Valley with the splendor of a Tuscan Mediterranean Villa. The villa features newly furnished rooms with wireless Internet access, wonderful down king beds, marbled & tiled bathrooms, and bocce ball courts on over an acre of lush land in a country setting on Glass Mountain Road. www.vineyardcountryinn.com – Located on a vineyard in the heart of the Northern California Wine Country, the Vineyard Country Inn is perfect setting for romance or relaxation, where time slow down, and care is taken to provide an environment that will soothe your soul. www.hotellucanapa.com – designed by Kathleen Fink of Carmel Valley, Hotel Luca’s 20-guest rooms and four residences are thoughtfully appointed and offer exceptional value. The room color tones are sophisticated and pleasing, complete with every modern amenity and convenience including flat-screen TV, ceiling fans, music system and sensual lighting throughout. www.napavalleyrailwayinn.com – Sitting on original track from the Napa Valley Railroad, Napa Valley Railway Inn is just waiting to take you back in time to the opulent era of the railroad barons. Each suite, (equipped with heat and air), features a bedroom area with king, queen, or double queen-sized beds, sitting area, and private bath. 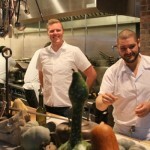 www.adamthewineguy.com – watch Adam the Wine Guy, sommelier to LA’s movie stars and a good resource for anyone else! Wine shops are a fun place to be in the valley. Often shops will hold special tastings that maybe only locals know about – some hold regularly scheduled tastings, many have newsletters and all certainly have a excellent selections of Napa produced wines. www.1313main.com – retail and online wine shop, located on Main Street – has roots as one of the earliest online retail wine shops anywhere – great selection online and on site. Talk to Al. 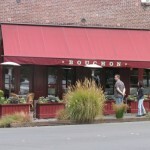 www.acmefinewines.com – fine wine shop, St. Helena – hub of all things related to premium local wine. Always on the cutting edge of new boutique labels, contains wine storage facilities, holds boutique tasting events with winemakers and much more. This is the heart of wine shops in the Napa Valley. David & Karen are the gracious owners. Best weekly tastings in the valley here. www.backroomwines.com – great wine shop located in Napa, owned by Dan – sign up for his daily…err weekly newsletter chock full of fun new wines and deals. “Dan at Backroom” …a common phrase used by small winery owners who have their wines for sale here. www.bountyhunterwine.com – located in downtown Napa next to the Napa river, carries hard to find wines. Western theme, makes own wine – several labels. Good hangout on weekends and Friday nights – tasty grub as well. Mr. Pope is the man. Best printed catalogue of any wine shop in the valley. Serious wine selection here! www.bpwine.com – Blicker Pierce – fine wines & rare vintages, city of Napa. Driven by a number of times but have yet to stop in and do the introduction thingie. www.cellarcollections.com – based in the town of Napa. Damn, we’ve driven by a number of times but have yet to visit. www.deandeluca.com – located just south of St. Helena where the wonderful traffic often starts backing up into town- has an extensive wine shop, deli and gift store. Stock up on premium supplies here and probably run into a winemaker during a visit most anytime of the day especially in the morning for coffee or around lunch time. Owned by vintner visionary Leslie Rudd. 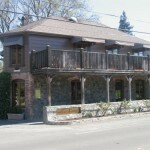 www.enotecawineshop.com – Enoteca is a full service wine shop located in the heart of Calistoga. Talk to Margaux the owner if she is in. Also note she makes her own wine, called MX – ultra small production! We would love to review this wine for our project. The “expensive” room is in the back. www.vwinecellar.com – great selection of hard to find Napa & International wines, Yountville. The southern part of the Valley’s premiere wine shop with an excellent selection of premium wines. Be sure to check out the cult room. Scott is a great guy. www.auctionnapavalley.org – the premiere wine auction of the year in Napa Valley! Note: In our opinion the two most scenic, least crowded areas for bicycling in conjunction with winery visits, are in the northern part of Napa Valley, north of the town of Calistoga and also in the Carneros region south of Napa. www.calistogabikeshop.com – Calistoga Bike Shop offers a unique bicycle wine touring experience geared toward those who want to get away from the hectic day-to-day life and enjoy the quiet side of the Napa Valley at their own pace. 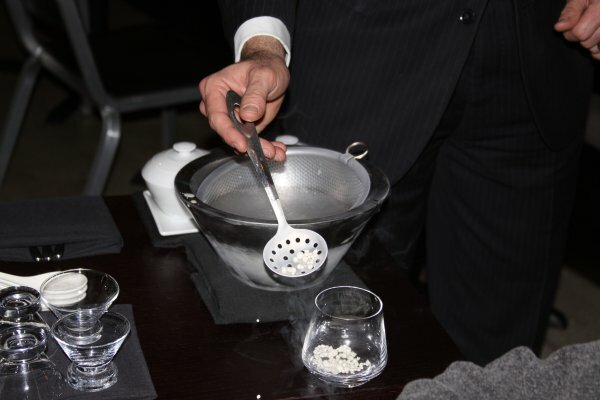 www.behindthescenes.net – caters to corporate clientele – customized programs, incentives and tours and more! Note: Some of the high end resorts & inns in the valley have private concierge services – and can often arrange visits at private wineries. www.viviani.com – established in 1980, is the industry leader, serving discriminating clients and travelers to Napa, Sonoma, San Francisco, Monterey, Carmel, & Santa Barbara. What do you want to do in Napa? Linda can arrange it. High end, private – the best of the best. Linda has the connections. 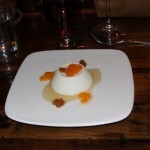 www.foodiesonfootnv.com – With Foodies On Foot, we tailor a tour to include top TripAdvisor and Yelp! reviewed restaurants (Like a Pub Crawl, without the hangover) and sample one of their signature creations. www.bacchuswinetours.com – Serving Napa, Sonoma, SF and the Bay Area. www.esotours.com – we are a family-operated limo service based in Marin County, California. We are not like the big commercial tour companies – we offer daily custom wine country tours and sightseeing tours for couples and groups of up to 7 people. www.mynapavalleydriver.com – Relax and enjoy the best that Napa Valley has to offer. No need to be concerned with driving, navigating, or knowing where the preferred wineries are, let me handle those logistics for you. As your guide and driver I’ll gladly accommodate your specific requests, winery choices, as well as make any tasting appointments needed. The Napa experience doesn’t stop with the wineries, this region offers truly world class restaurants as well. If you would like dining suggestions or reservations, consider it done. www.myprivatedriver.net – My name is Buzz Vieau. I have been driving Limos and other large vehicles since 1985. I have a Class “C” drivers license in California. I am also a licensed “B” General Contractor in California. My purpose also is for people who come to the Napa/Sonoma or any Wine Region to save a little money with their transportation costs and I make a litte extra money also. www.napawinetours.com – experience the beautiful wine country with private and group wine tasting tours in Napa Valley. Visit the best wineries in Napa Valley in style with your bus or limo. Trust Napa Wine Tours to lead the way! www.tournapavalley.com – Napa Valley Wine Tours designed with you in mind! Owned and operated by a Napa winery owner who has many good contacts at small and off the beaten path wineries. A real winner! www.tourvin.net – Tour Vin will make wine tasting, dining and hotel reservations on your behalf. No need for you to be stuck on hold, making reservations or hassling with coordinating your daily activities when all you want to do is sign up for the fun that awaits you! www.winecountryesperya.com – Esperya (Italian for “experience”) specializes in ‘off the beaten path’ wine tours; all of their tours have personal guides, not just drivers. This is a very personal experience – Esperya has formed ongoing relationships with the wineries you will be visiting. Never been to Napa or Sonoma before – don’t worry Esperya bases their custom trips on your level of experience and needs. www.winemeaway.com – Wine Me Away’ Wine Tours in the heart of Napa Valley is more than just a tour company. It is an intimate and exclusive experience for guests looking for a relaxed atmosphere and a true wine country adventure. www.winetrain.com – the Napa Valley Wine Train – enjoy good wine, food and sights! www.evanstransportation.com – Evans Transportation charter service is now a part of the California Wine Tour’s custom tour division. Our friendly, knowledgeable sales and tour coordinators can help customize a package to accommodate your specific needs. www.platypustours.com – Napa Valley Wine Tasting adventures for people who want to have fun! www.elitelimo.com – At Elite Limousine, we share your passion for wine; that’s why we specialize in wine country tours. We can design a custom tour to suit your individual tastes regardless of whether you’re an experienced connoisseur or a wine novice. www.amicistours.com – join husband wife team of Ralph & Lahni DeAmicis, your “friends in the wine country”! Multiple languages spoke as well. 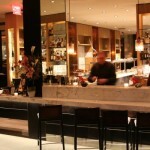 www.eyeonwine.com – greet Gordy for a private trip to the Napa Valley that you won’t soon forget! www.shwinetours.com – Saint Helena Wine Tours is owned and operated locally by Ken and Barbie Slavens. Ken was born and raised in Saint Helena, he brought Barbie to the area in 1976. Ken prides himself on his extensive knowledge of the Napa Valley and the “behind-the-scenes” history. www.vervenapavalley.com – VERVE is an energy – a buzz. It’s 30+ years of knowledge and access to the premier Napa Valley lifestyle. A trip with Verve is inspired, indulgent and exclusive. We are more than mere tour guides – we curate and host Napa Valley experiences customized to your curiosities, style and requests. More photographs will be added as time permits. We are slowly “ticking” off all of these restaurants! The food scene in “rural” Napa Valley is hard to beat. www.busterssouthernbbq.com – BBQ is what they do best! Buster is often hanging around the restaurant. 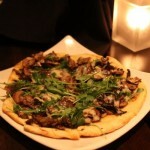 www.bistrodongiovanni.com – Italian with a French flair – a warm inviting restaurant with outdoor seating during nice weather. 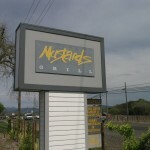 Located right next to Highway 29, just north of the town of Napa. We’ve eaten here before and have really enjoyed the salads and main dishes. 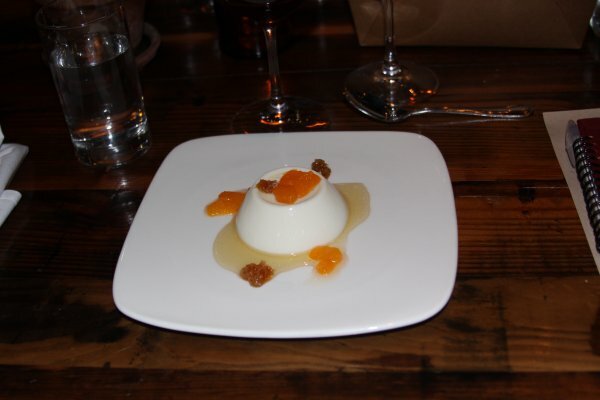 Great desserts and a very extensive mostly Napa based wine list. 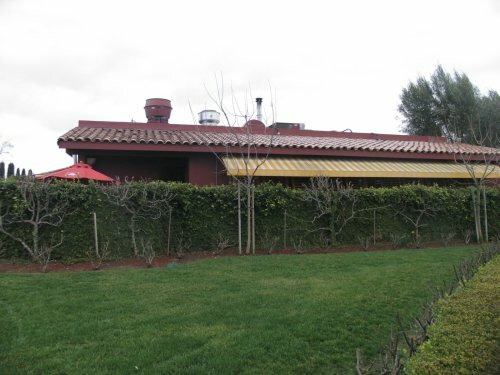 This is also a restaurant well frequented by the locals – many of which are in the wine industry and during lunches you may often see laptops and other business transactions taking place. 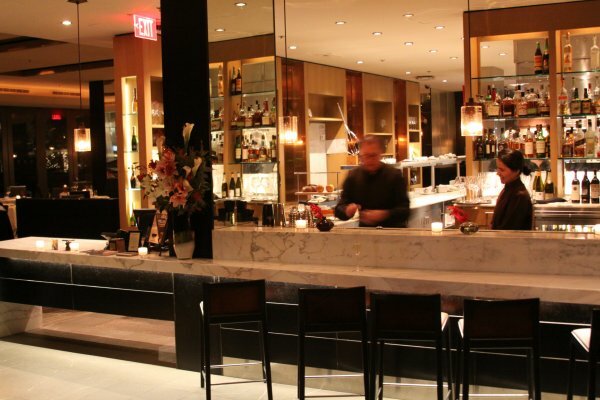 www.carpediemwinebar.com – Our team here at Carpe Diem encourages people to enjoy life and its many wonders with wine, food, and good company. 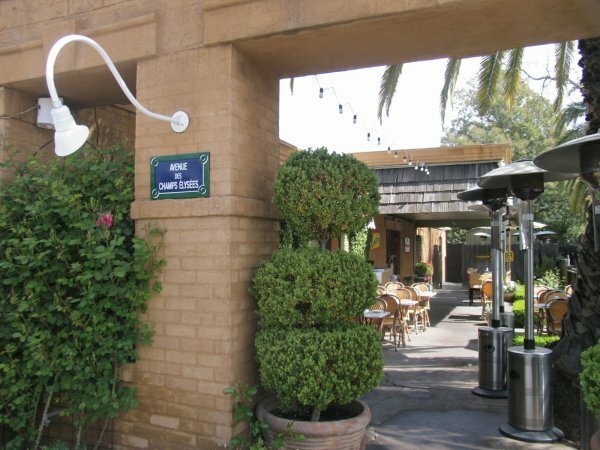 www.cuveenapa.com – enjoy cocktails and appetizers in their bar, or a cozy dinner in the inviting courtyard. 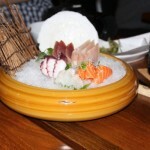 www.eikosnapa.com – Eiko’s delivers imaginative twists on traditional Japanese cuisine. 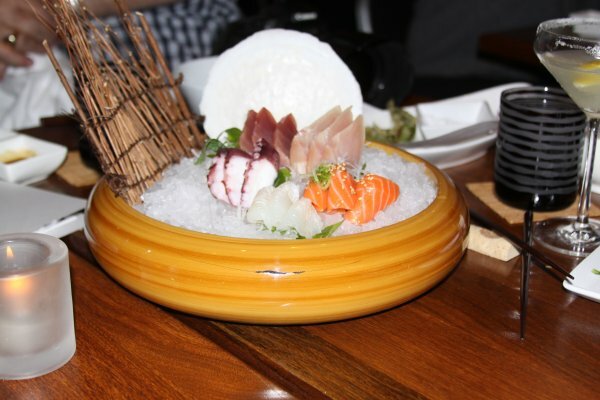 Our vision for the menu combines modern and authentic traditional Japanese cuisine including seasonal, fresh sustainable fish and ingredients delivered daily from our local markets and purveyors. www.fumebistro.com – lunch & dinner California style cuisine, located on a frontage road right next to the east side of Highway 29 in the north part of Napa. Great food! Nice outdoor dining as well. One of our nice spots to each lunch in the valley. www.latoque.com – La Toque, Ken Frank’s landmark Napa Valley restaurant and proud recipient of a coveted Michelin Star, moved to the new Westin Verasa Napa in September 2008. Our beautiful home at the Westin, adjacent to the Oxbow Public Market, is at the heart of a newly vibrant downtown Napa. www.oakvillegrocery.com – founded in 1881, sits just north of the corner of Oakville Cross Road and Highway 29. 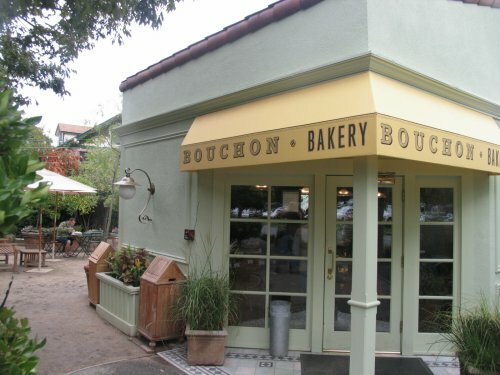 This is a great place for sandwiches and other high end drinks, snacks and specialty food items (much of which is produced right in the Napa Valley). Eating sandwiches at other sandwich shops won’t be as pleasant after you’ve been exposed to the Oakville Grocery sandwiches. Always crowded around lunch time with both tourists and locals alike. 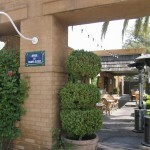 www.hillstone.com – Rutherford Grill is is a restaurant we always enjoy and have eaten here a number of times. Excellent California style Cuisine – very popular during the summer – get here early to avoid lines, nice bar – some outdoor seating, weather permitting. 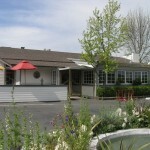 Rutherford Grill is a hugely popular restaurant that shares the same parking lot of giant winery Beaulieu Vineyards. As a result of both this restaurants popularity and those who visit BV, parking can be extremely tight here during lunch time. For best results and service show up at 1120am, get your parking and walk into the restaurant by 1130am. Otherwise expect to wait in line for a while and or be there during the height of the crowds. The food is tops – we recommend the grilled artichoke appetizer when in season, heirloom tomato salad, the potato chips with blue cheese, and either the tuna salad or roast beef sandwich for lunch. There are *always* vintners dining in here and is the place to see and be seen in the central part of the Napa Valley. Outside dining is pleasant when weather permits. 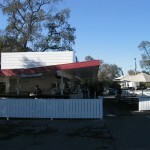 www.gottsroadside.com – We have eaten here many times (formerly Taylor’s Refresher). 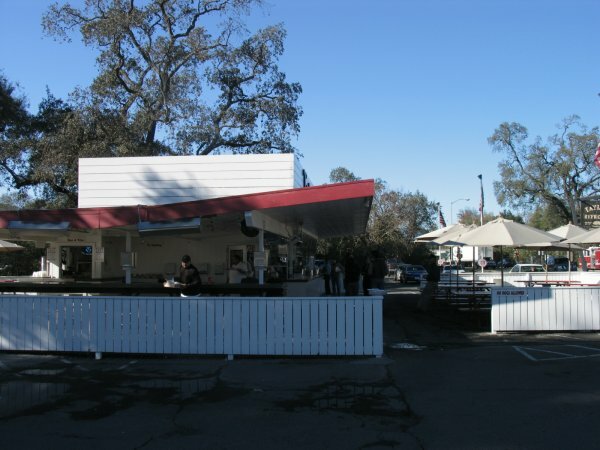 It is located south of St. Helena – serves classic American food – affordable, outside dining available in front or back (the back is preferable b/c its away from the noisy highway). A covered counter top seating with heat lamps is also available. No indoor seating. Good selection of hamburgers. Like blue cheese? Try their blue cheese burger. Also seafood, chicken, soups sandwiches & salads available. In addition they have a good selection of milkshakes and some are seasonable, like their Pumpkin Milkshake. 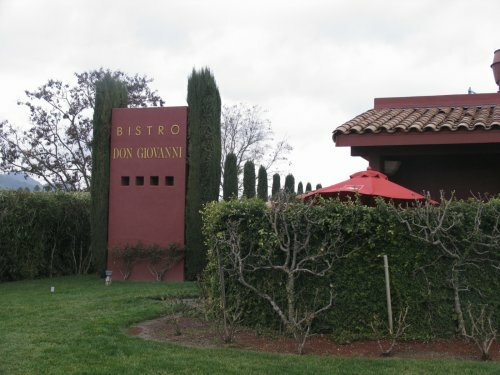 Naturally, White & Red wines are available, considering this restaurant is in the heart of Napa Valley! The Gott’s Roadside next to the Oxbow Public Market in Napa is just as good as their St. Helena location but typically less crowded and the line seems to move a bit faster. 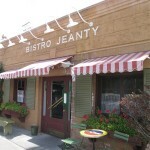 www.bistrojeanty.com – French cuisine – Michelin star rated, reservations a much especially for their small outdoor seating. Features delicious rich French food. They are most known for their tomato soup. When they bring it out for you, do not be surprised, its big and puffed up! Good French fries. Also good lamb and salad Nicoise. 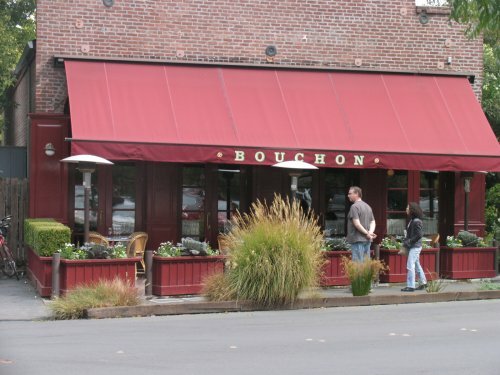 www.bouchonbistro.com – the affordable alternative to French Laundry – owned by same chef. 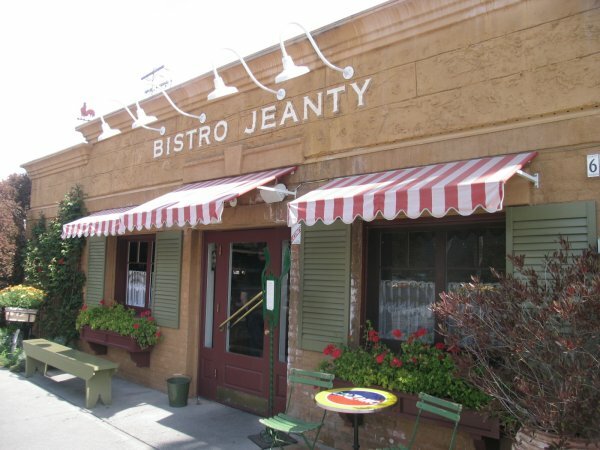 Excellent French Bistro cuisine. 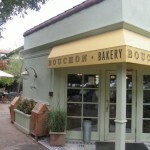 Also try the Bouchon Bakery next door – great selection of sandwiches with fresh baked bread, pastries and other deserts. Weather permitting outdoor seating is available. Restaurant locations also in Las Vegas and New York. 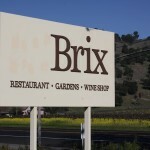 www.brix.com – Brix serves up seasonal California cuisine in Yountville, – we’ve enjoyed their tasty fare on more than one occasion. Sunday brunches are back with their new name and new focus! Awesome. In addition, they have a stunning 37-page wine list mostly from Napa vintners. www.frenchlaundry.com – high class restaurant – reservations even far in advance (60 days max) are extremely hard to secure and you often will be put on a waiting list (not on their reservation list). 9 course meal – expect 3-5 hours for your dinner! Voted one of the top restaurants in the USA. 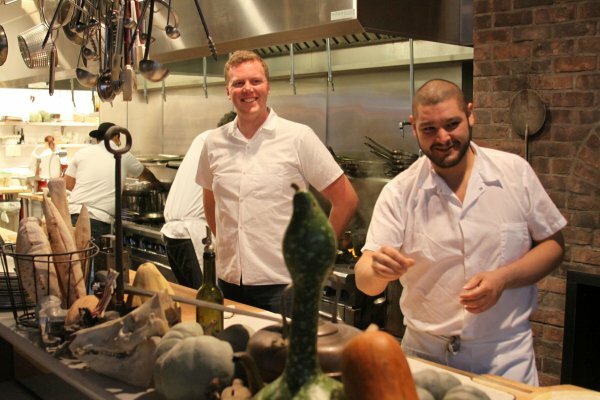 This restaurant is about the food – but it is also about the dining experience. Ever have a waiter take 3 minutes to pour your drink?! There is a set fare for the courses, but extras are available at additional cost. *Sometimes* they do have cancellations at the last minute so if you are in Yountville and are dressed appropriately try stopping by. 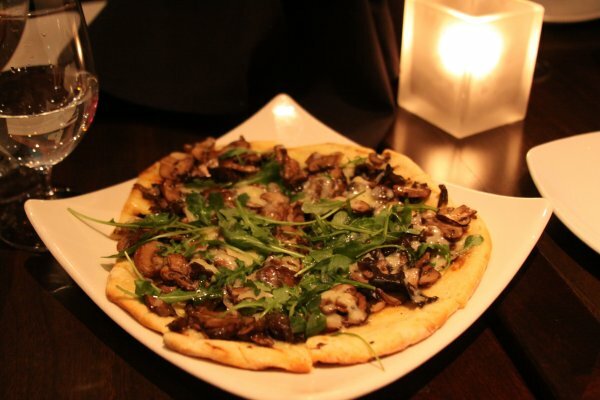 www.redd-wood.com – Famed chef Richard Reddington’s second, more casual outpost, Redd Wood is a superbly stylish Italian-inspired eatery. www.stpierremassage.com – offers Swedish, deep tissue, stone & couples massage – also can host spa parties! We try to list only blogs that appear to be commonly updated. highway29.wordpress.com – “Life Is A Highway (29)” was started as a place to chronicle the observations and experiences of life in the Napa Valley. www.steveheimoff.com – author and wine guru – get the latest on the wine scenes here! www.ghigopress.com – Ghigo Press is the author and purveyor of wine education and gourmet education products who’s lines include VINIFERA, The World’s Great Wine Grapes And Their Stories, SPICE The World’s Great Flavors And Their Stories and Coffee, The World’s Great Recipes, Stories and Histories. www.napatrufflefestival.com – North America’s premier truffle event, featuring the best Michelin star chefs & world’s top truffle scientists with winery tours, truffle dogs, Festival Marketplace & more! www.familywinemakers.org – the Family Winemakers of California – two main events per year, one in San Francisco and a trade only event in Pasadena. The tasting in San Francisco at Fort Mason is California’s largest in one location tasting. We have been to both tastings. 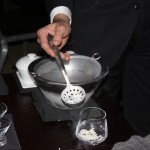 www.localwineevents.com – wine events by city worldwide! You can even get feeds for your own website – great resource. www.enologix.com – offers quality metrics, software tools and consulting which allow wineries to protect wine quality and to manage national critics ratings. www.openwineconsortium.org – the “facebook” of wine communities!